What is Food Day? 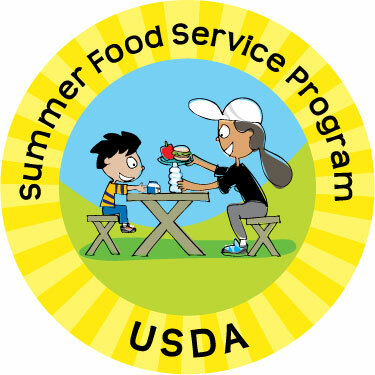 Food Day is a nationwide celebration and a movement for healthy, affordable, and sustainable food. 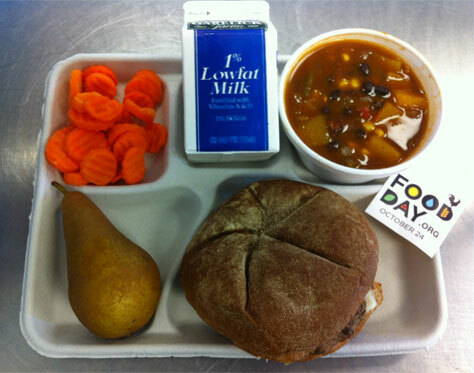 Every day in Boston Public Schools we are trying to provide our students with healthy affordable, tasty meals. – Cheeseburgers made with 100% ground beef (that means no “fillers”!) on whole wheat buns. – Homemade Southwest Vegetable Soup featuring locally grown butternut squash. This was a recipe developed a few years ago by our former Fresh Fruit and Vegetable Program Manager, Alex Emmott, and voted on by students in multiple schools across the city. – Locally grown carrot coins, grown by Joe Czajkowski’s Farm in Hadley, MA (also where the local butternut squash was from!) and a fresh pear. The best part of this meal is that these items are REGULARLY featured on the menu throughout the year! You don’t have to wait till next year’s Food Day to have a healthy tasty lunch! What else did we do to celebrate Food Day this year? At the John F. Kennedy Elementary School in Jamaica Plain, Ms. Moody’s 4th graders talked about their favorite vegetable recipes and planted garlic in their school garden. 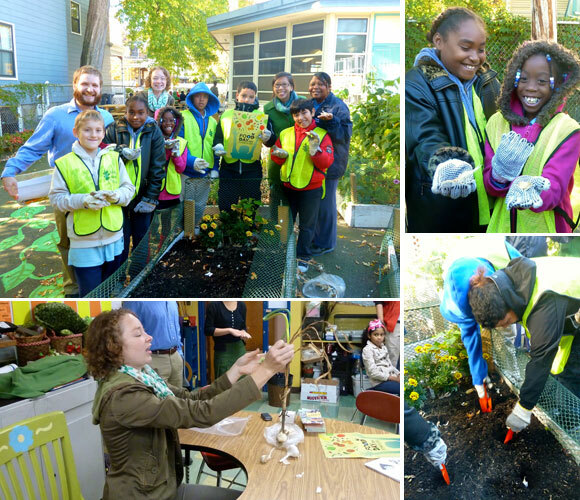 Special guests included, Sadie Richards (our former FoodCorps Service Member), Sebastian Downs, BPS Green Schools Volunteer Management Coordinator, and Phoebe Beierle, BPS Sustainability Manager joined Ms. Moody’s class to talk about Food Day and how garlic grows. How did YOU celebrate Food Day in YOUR school this year? [1/27/2014] The 2013 Food Day Report is now available!